Grind coconut, poppy seeds to a fine paste. Grind ginger, garlic and green chilly to a fine paste. Marinate chicken with red chilli powder, turmeric powder and salt for half an hour. Add the ground paste containing ginger, garlic and green chilly and saute until the raw smell goes off. Add the marinated chicken followed by coriander powder and allow to cook for 5 minutes with frequent stirring. Now add 2 glass of water and allow the chicken to cook for about 20 minutes with a closed lid or pressure cook the chicken. Once the chicken has cooked add the coconut paste and stir well. 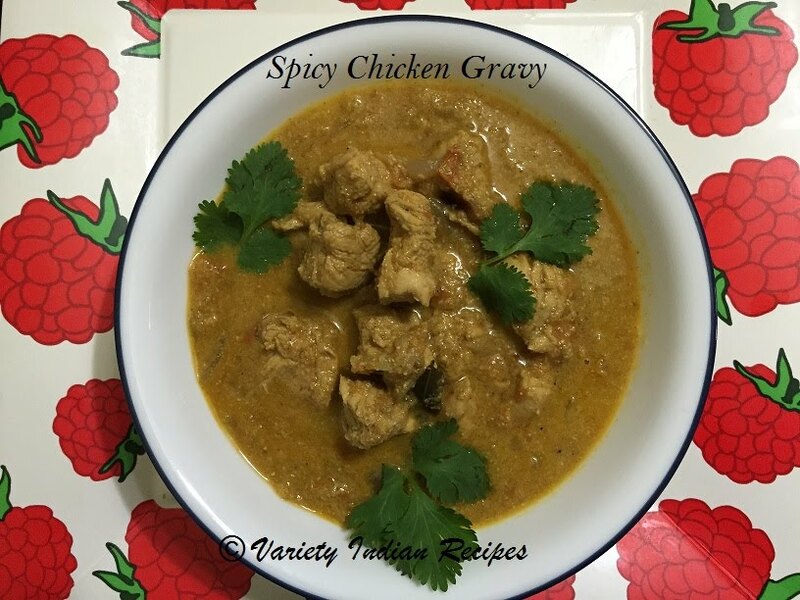 Now spicy chicken gravy is ready. Serve hot with rice.